On the weekend we celebrated a birthday. Luca TJ - our first born - is FOUR! Crazy. Wasn't it just a short time ago that I was pushing him (quickly) out in the hospital on that sunny Tuesday morning? He was treated to presents opened in the morning on Mamma & Papa's bed. We had a special 'family' party in the afternoon at our friend's house. Unfortunately on the way there we got caught out by the rain... 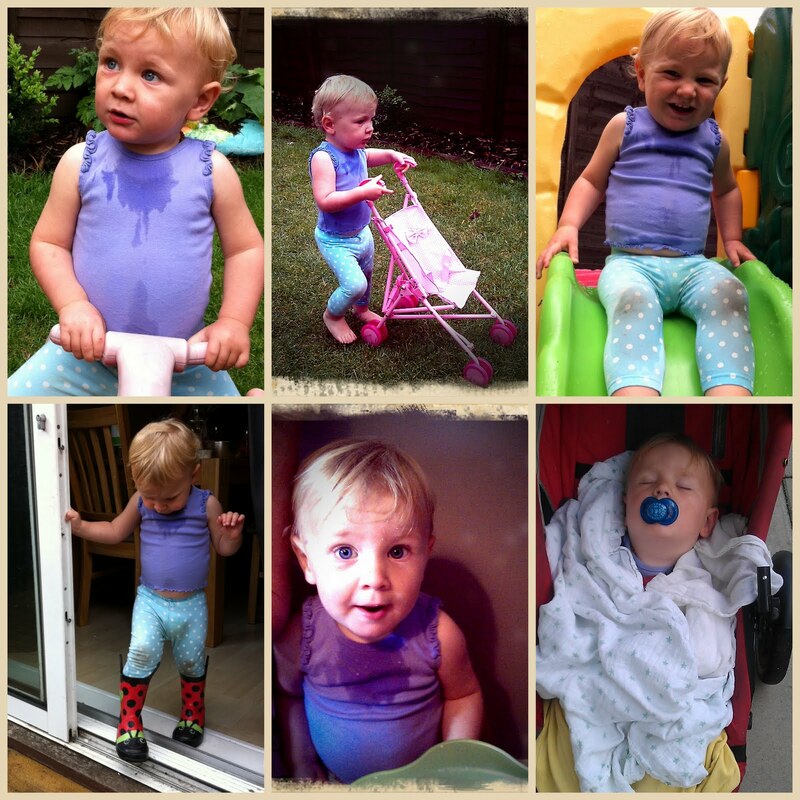 This meant Luca and Beni had no option but to wear the only dry clothes available in their sizes - girls clothes. I spent the night before making a pirate cake for him. He chose it especially from a cake book for me to make for him. It's kinda crazy that the pirate cake also ended up being 'pink' themed... only cos I put a bit too much red food colouring into the icing... 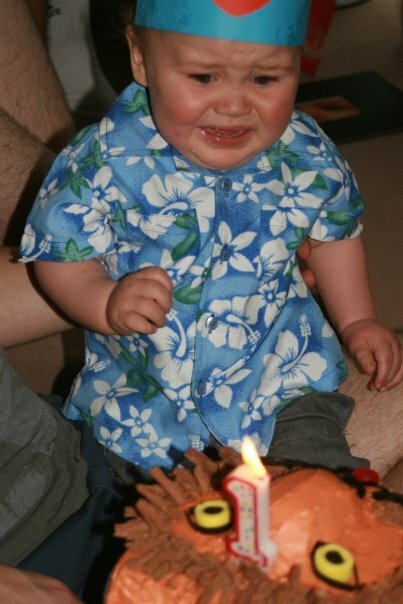 But we decided he was a true English pirate with fair English skin, therefore he was a sunburnt pirate. Anyway, Luca enjoyed watching him burn and spark. Which is on the other extreme to his 1st birthday when I brought out his lion cake adorned with a single candle - he cried when he saw the lion was on fire. 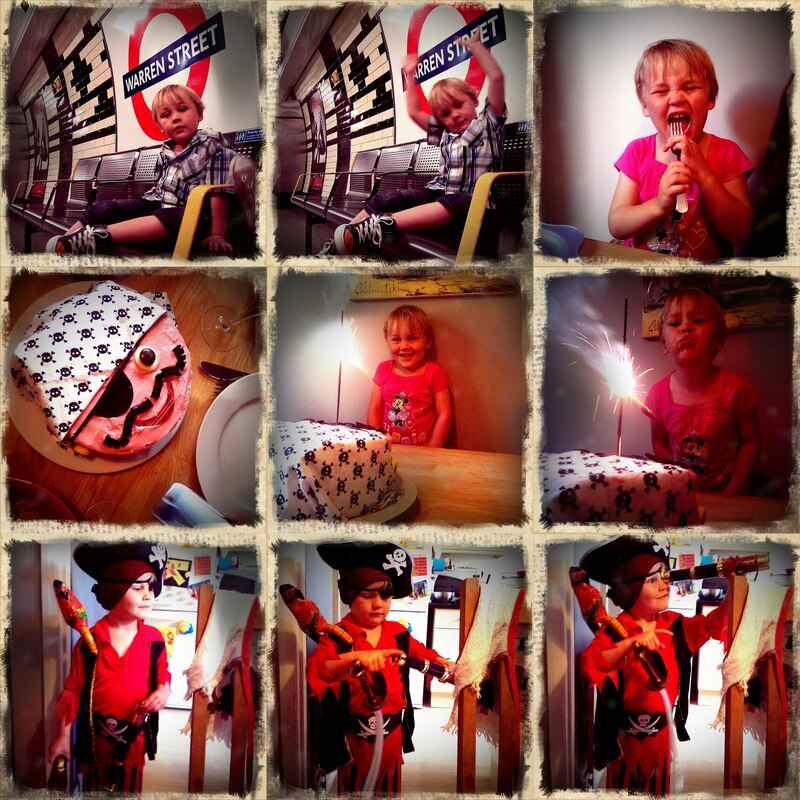 You can imagine our delight when Aunty Gretchie presented Luca with a PIRATE OUTFIT as his present! We didn't hesitate to get the pink minnie-mouse t-shirt off him and make him into "Luca TJ Pirate" (as he so named himself). He wore the Pirate Costume to bed that night, he loved it that much. I love the dribble patch, dirty knees and his belly sticking out from the bottom of the t-shirt. 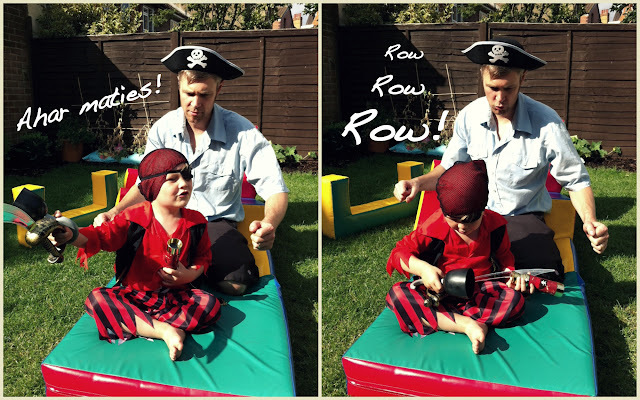 We're having a proper PIRATE birthday party for Luca in a couple of weekend's time so his Pirate Costume can have another grand outing. On another note, incase you were wondering, we're all good, safe and sound after the riots in London earlier in the week. It seems everything has calmed down again now, most probably due to an increased Police presence on the streets and the fact community members were banding together to protect their properties and community from the young hooligans (that's such a great word) who were creating so much senseless damage to our beautiful London. Go Neighbourhood Power! glad you guys are safe and sound. HAs been headline news here. Crazy stuff. Looks like you have a bunch of future 21st photos! What a cute guy!! Loving the pirate cake too! Cool pirate costume and so cute in the Minnie Mouse tee too. I love his new shoes! Such a lucky wee guy. "UP THE STAIRS ME 'EARTIES!" ADORABLE! oh my word, love the pirates. and LOVE those shoes.